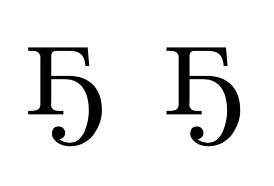 So far, I am using "5" as a work-around, which seems to be what Yakut people do as well, when they text on smartphones, etc. Any better ideas? Thanks! Don't use KOI8-R, UTF-8 is much better. Not the answer you're looking for? Browse other questions tagged input-encodings cyrillic or ask your own question. What is wrong with cyrillic package?